I now know more about the Diamonettes from Florida. I also know less about them. This is one very convoluted story! 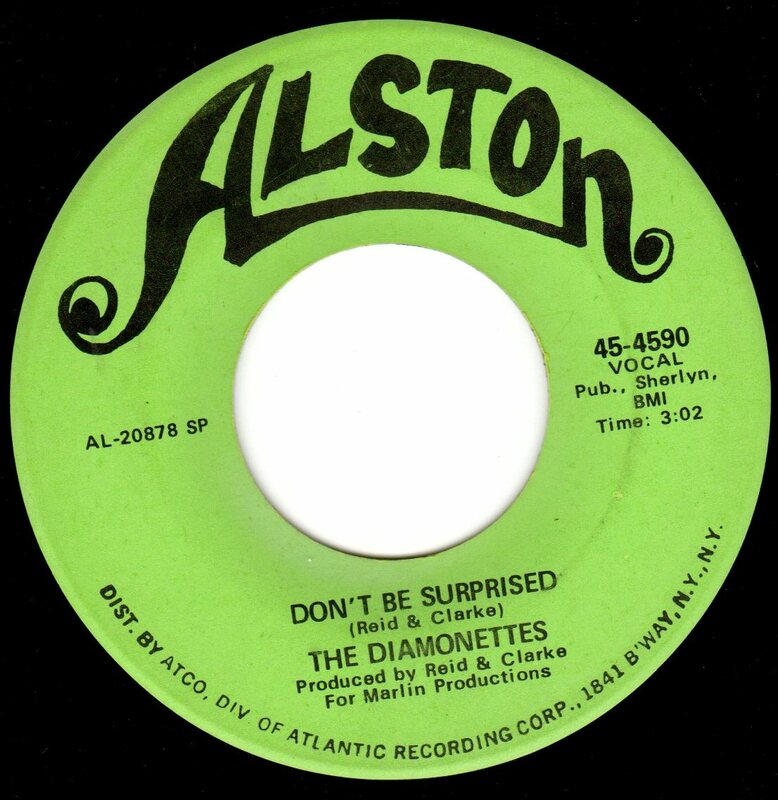 Fans of passionate, almost desperate deep soul, are familiar with a record by the Diamonettes, released on both the Dig and Alston labels in 1970. What they don’t know is that the record wasn’t by the Diamonettes at all! Exactly who it was, and which take they got, depends on which pressing of the record they have. 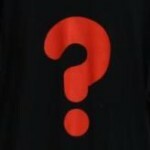 It could be a different local girl group, or it could be the14-year-old daughter of the man who started the Twist craze! The first use of the Diamondettes/Diamonettes name came way back in 1959. Florida A&M student and aspiring record mogul Johnny Pearsall shared co-writer’s credits on two songs that were released on the very-independent Orange & Green label. Orange and green are Florida A&M’s colors, and after acquiring this record, it wasn’t hard to figure out that the Modern Jazz Masters, who provided the instrumental backing, were members of the FAMU marching band. 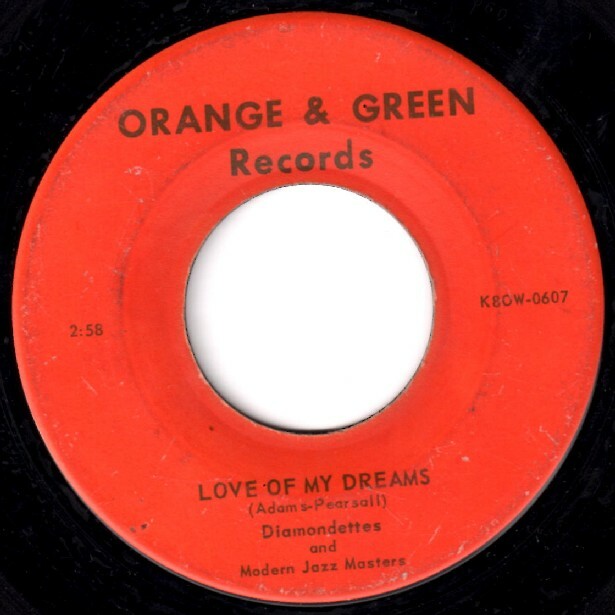 “Love Of My Dreams” is pretty good doo wop – after all, it was still the ‘50s – while the flip, “Goodby My Love”, is in more of an early rhythm & blues vein. 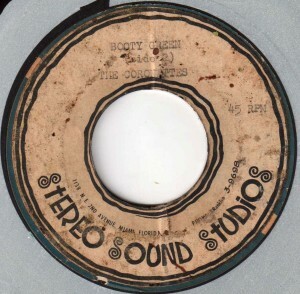 All in all, a very good, and very rare early effort, and one shrouded in mystery — until the filming of Deep City: The Birth of the Miami Sound. Minds were blown on a Thursday afternoon, when Pearsall’s long-time music biz partner, Willie Clarke, was listening to some Miami soul records on my upstairs turntable. You should have seen his face when “Love Of My Dreams” came on! Clarke’s name was left off the label, but as the song played on and long lost memories came flooding back, it was clear he was telling the truth. Hearing this song for the first time in 55 years brought back one more memory, as he heard the lead female voice. “That’s Helene! Helene Smith!” In that moment, a mysterious ’50s doo wop 45 with no back story revealed a future soul legend’s first recording, with one hell of a back story! This humble local recording might just be the most historic Miami R&B record. In a few more years, Willie Clarke and Johnny Pearsall would co-found labels such as Lloyd and Deep City. 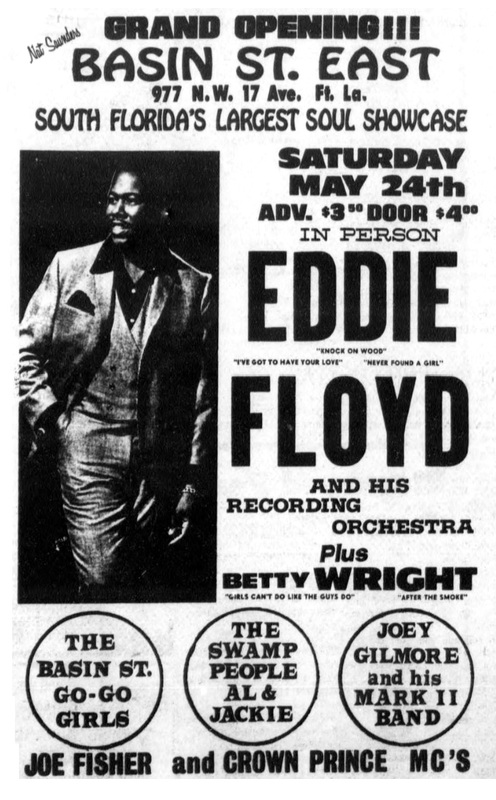 Both labels would thrive in a Miami soul scene dominated by WAME and WMBM radio stations, and local venues such as the Knight Beat, Mr. James, Island Club, and Continental Club. Pearsall (the business guy) and Clarke (the genius songwriter and producer) hooked up with names that are considered greats today – Clarence Reid, Little Beaver, Paul Kelly – but back then, most of those artists were just kids who were trying to make a career out of what they enjoyed the most. Soon Clarke would discover Betty Wright, bringing the artist roster to new heights… but it wasn’t enough just to have talented artists. Great records were a must… and great records depended on many things, among them songs and production. 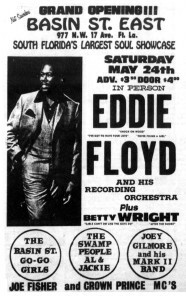 Betty Wright and other talented locals, opening for Eddie Floyd in Fort Lauderdale. This ad originally appeared in the Miami Times. Click on the image to view it full size. Songs were never a problem. Willie Clarke and Clarence Reid formed a partnership that would last for decades, and would result in some of the best songs in the history of soul music. Clarke also had an ear for production, which amounted to making the artist and the song both sound the best that they can. That took imagination and creativity, but it also took great musicians (no problem, thanks to Frank Williams’ Rocketeers) and great background singers. Willie Clarke’s background harmonizers of choice: the Rollers, the Coronettes, and yes, you guessed it, the Diamonettes. Now fast forward again, this time to 1970. The Clarke-Pearsall partnership had split for good, with Clarke and Reid now lending their talents to Henry Stone’s record labels. The duo brought a group of high school kids into the studio to record two songs they had written, “Don’t Be Surprised” and “Rules Are Made To Be Broken”. 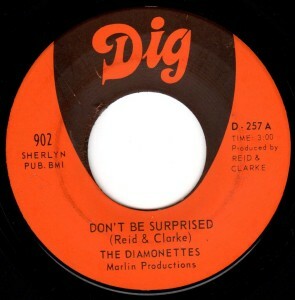 The real Diamonettes had split by then, so Clarke and Reid decided it would be okay to use their name for the recording – even though the girls weren’t the Diamonettes at all. 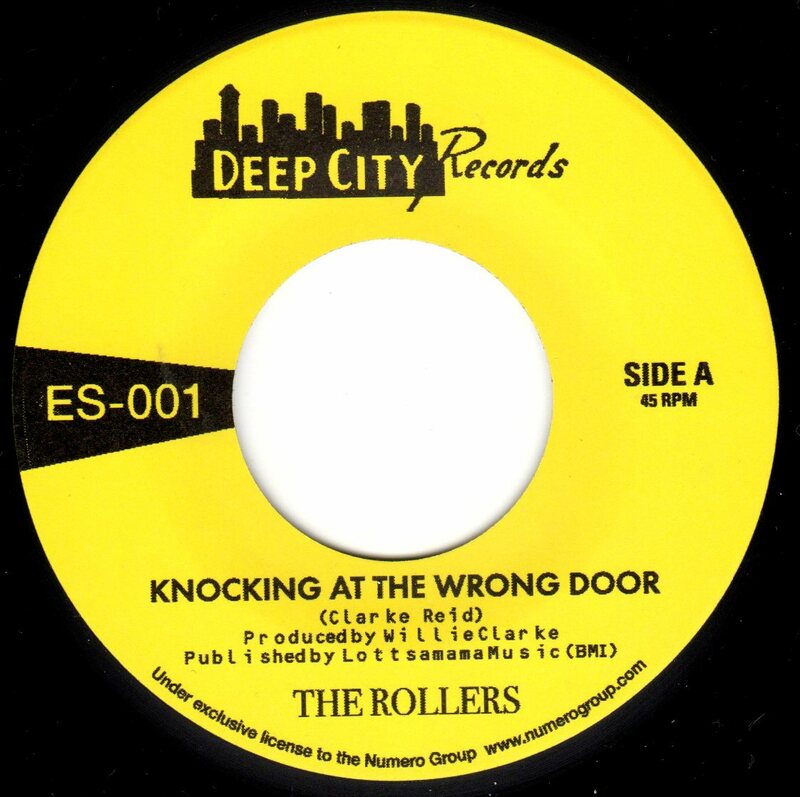 They were actually The Rollers, from Opa-Locka! The girls cut the tracks for the local Dig label, which at the time was also the home of Jimmy “Bo” Horne and J.P. Robinson. When Atlantic Records showed an interest in the record, it was shifted over to the Alston label… but somebody goofed, in a big way. If you think the story is getting confusing, you ain’t heard nothing yet. The Diamonettes (who weren’t really the Diamonettes) were not the only ones to record “Don’t Be Surprised”. 14-year-old Lynn Williams was also given the song, by her producer/manager Arnold Albury… using the same backing track as the Diamonettes’ version. The two masters were so similar that somebody must have become confused, because Williams’ vocal was used on some pressings of the Alston Diamonettes 45! I recently asked Lynn Williams if she was ever in the Diamonettes, or even in the studio with them, and she told me the answer was no. Since it was the B-side, it’s not clear if anyone was even aware of the mistake at the time! Don’t be surprise (sic) if there are more questions than answers about records such as this. 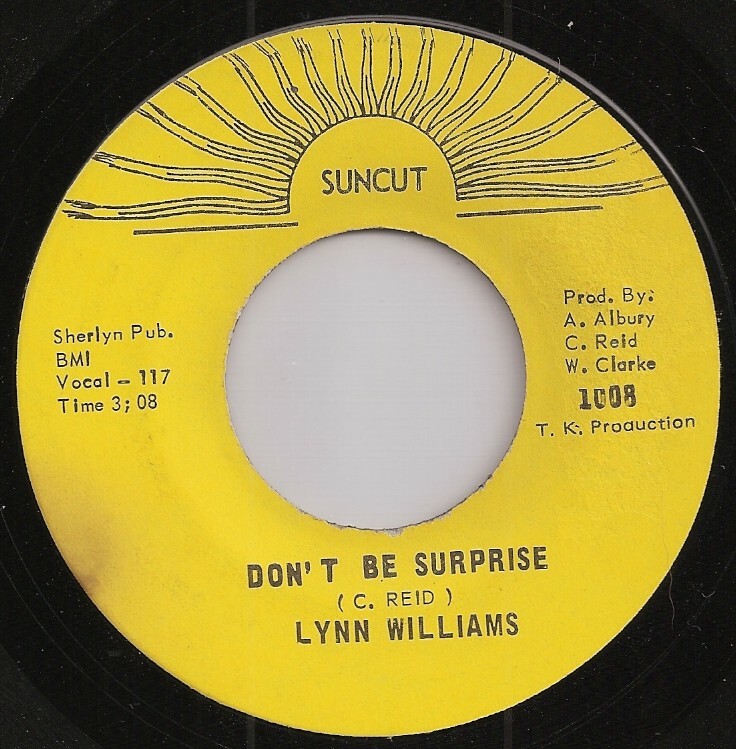 Lynn Williams (the daughter of music legend Hank Ballard and WMBM personality Vanilla Williams) would go on to record for Henry Stone’s Dade and TK labels, and recently sang in public again for the first time in more than thirty years. 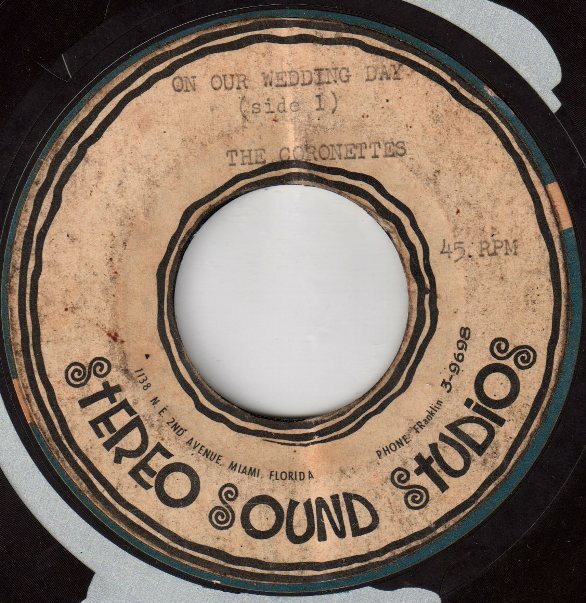 The girls who recorded as the Diamonettes finally have a record out under their real name, thanks to a 45 issued recently by the folks at the Numero Group. The first Rollers 45. Or was it? I mentioned the Coronettes earlier, and their story just adds to the confusion. After all these years it’s become hard for Willie Clarke to differentiate between the Coronettes and (real) Diamonettes, and how the Rollers also play into their stories. After a while, it all started to run together. Keep in mind that at the time, no one had any clue that anybody would care 50+ years later, so this sort of trivia, predictably, wasn’t and still isn’t in the forefront of anyone’s mind. With Clarke’s help, I contacted Janet Albury of the Coronettes, who shed a little light on their story. The Coronettes were Albury (then known as Leona Welch), Heiti Williams, Elizabeth Ann Welch, Mary Gatlin (who was Dave Prater of Sam & Dave’s niece), and Patti Jo Demps. That last name should be familiar to ’70s soul music fans, through her work with the great writer/producer Curtis Mayfield. 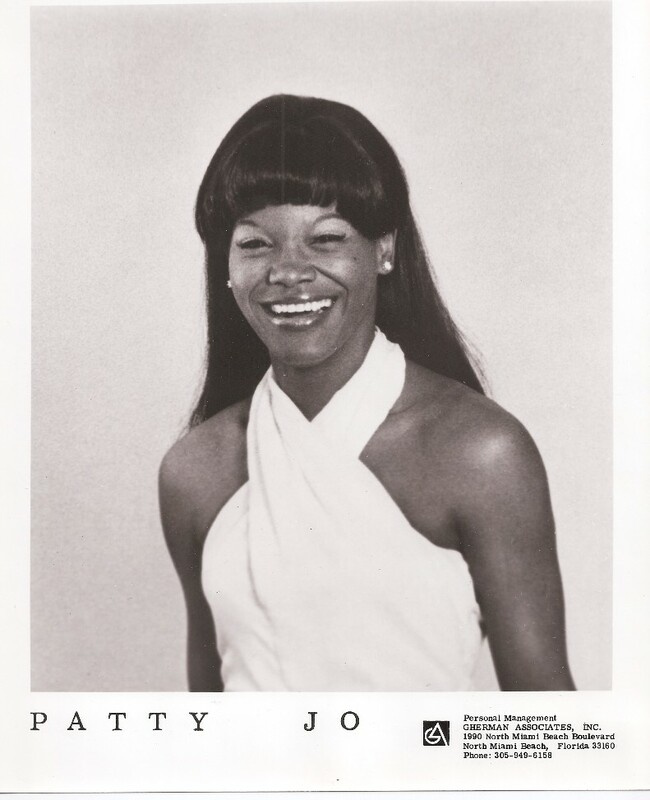 Patti Jo, whose big break was replacing Melba Moore in the Broadway musical Purlie, would go on to record a couple of songs for the Scepter and Wand labels (“Ain’t No Love Lost” and “Make Me Believe In You”) that are now highly regarded in the soul music collecting world. 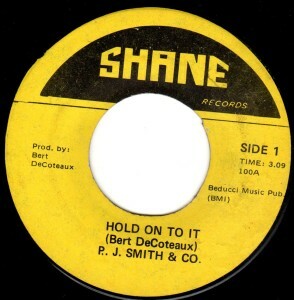 She was also the “PJ” in PJ Smith & Company, whose ’70s crossover recording “Hold On To It” is also popular these days. Early promotional picture. Note the spelling of her name as Patty Jo. The label to this rare Coronettes acetate survived, but unfortunately the record does not play. There are still a lot of loose ends to all this (of course!) — from the real Diamonettes, to a mysterious 45 by a Miami Central High grad named Zandra Reaves, to a trio known as Friday, Saturday & Sunday. For now, let’s toast the early days of Helene Smith, Patti Jo, Lynn Williams, and others whose humble beginnings led to some great, enduring soul music classics. These are all songs, or records that were mentioned in the above blog post. Having read the above and seen some catalogue entries, it would appear that The Diamonettes of 1970 were the same group who recorded as Friday Saturday & Sunday. 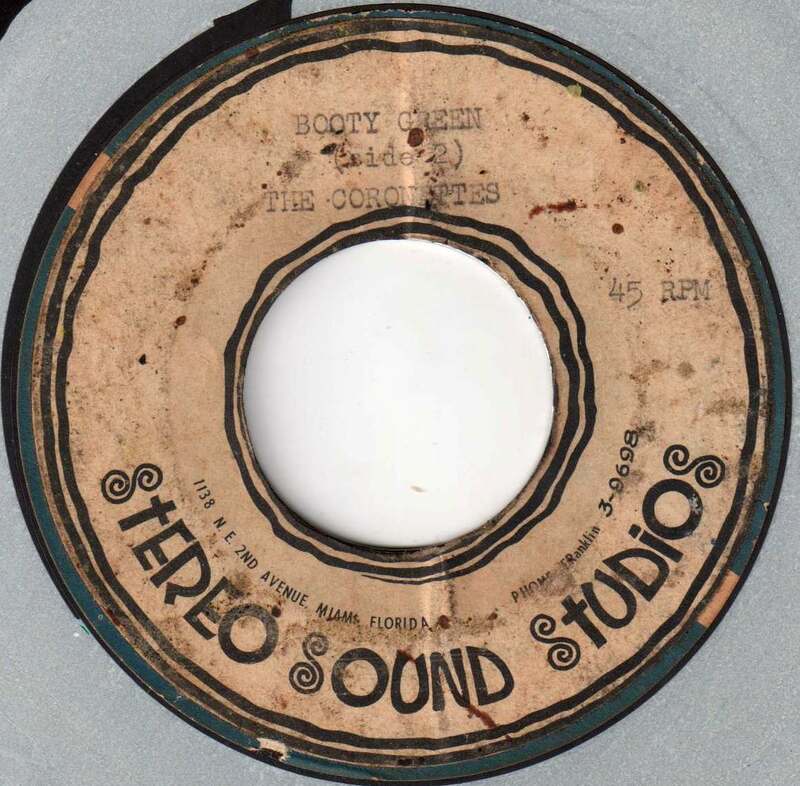 As you may know, Stax did a finished master deal for the FS&S single, even giving Dig its own imprint (you can check 45cat.com for a scan of the label to both the original Dig of Miami release and the later Stax reissue). Any idea as to who FS&S actually were? I’m working on a Stax Encyclopedia (I did a Motown edition last year) and would love to get some names to go with an obscure single release!